Email buddhabagmeeting@gmail.com to book as this event will likely be in high demand. Tigrilla has always had a fascination with sound and the way things work. With a degree in music engineering and electrical engineering, she has been employed at RealNetworks and Microsoft enabling music and art through software and as a music engineer; she co-owned a circus, produced intentional dance and spiritual events, and toured with Cirque du Soleil. These experiences have enriched her abilities and enabled her to cultivate a unique perspective on the interaction between sound, humanity and nature. With her roots firmly planted in the world of audio and as an international teacher of Practical Spirituality, she arrived in Damanhur on a mission to discover what we can learn from trees and how they perceive the world. It was natural that the Music of the Plants would become her main research tool. 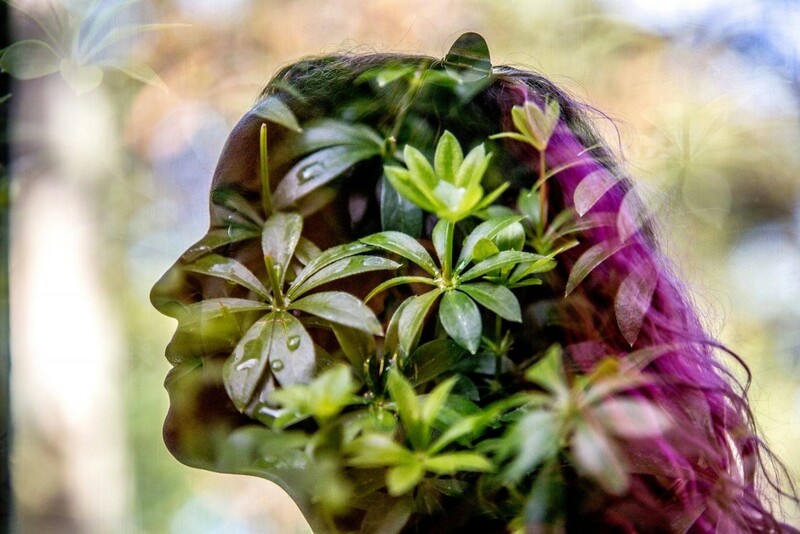 Traveling as an inspirational speaker, she has oriented and connected with thousands of trees – as part of Damanhur’s “Global Tree Network” – each time learning something about their subtle world. She lives in the treehouse village, where research is centered on the effect living closely with nature has on dreams. Located in Damanhur’s Sacred Woods, Tigrilla’s daily life and her passionate research have become one and the same. In the 1970’s a team of researchers with electronics backgrounds embarked on a series of tests designed to investigate how plants perceive and act. This research led to many amazing discoveries including how plants could control doors and carts based on external stimuli such as whether they recognised certain individuals or whether they might gain more sunlight. Plants apparently search for people they know and the sun! Researchers in Damanhur, informed by more than 40 years of exploration into plant perception, have developed a device that enables plants and trees to play music. The plants themselves learn to control the music, interacting with a variety of stimuli, different artists and observers in diverse environments. Tigrilla’s talk at Gateways of the Mind will feature archive footage from some of the early experiments as well as modern research into other fields of plant behaviour such as the hierarchy of trees in a forest and their ability to teach each other to play music and a demonstration of their music. Get a taste of her insights and upcoming appearance at the Gateways of the Mind Festival at this very special Buddha Bag Meeting.